The iPhone’s low battery alert has become one of the most feared notifications among users. While the iOS platform has brought plenty of great improvements and new features over the years, battery life has for the most part stayed the same. While this is an achievement all in itself, users are desperately wanting more and are completely turning off some features to accommodate these needs. With iOS 7, a complete redesign delivered great changes and new additions. Although for some, it only brought a headache. After owning each iPhone since the 3GS, I can without a doubt say it has progressed with each new release. 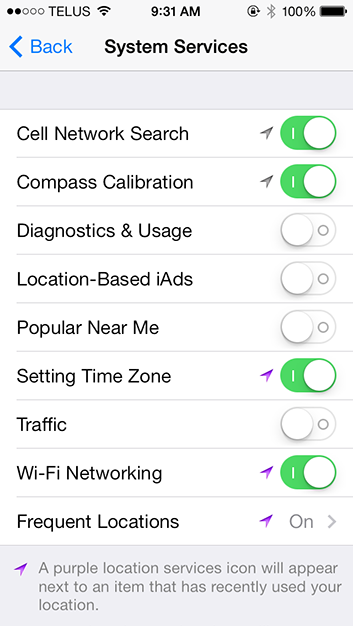 I can achieve 16-18 hours on the 5s with its current settings during average use. While battery performance has never been an issue for me, I’ve learned many different tips to help those who do need to squeeze a little bit of life out of their device until they return to that well celebrated charger. 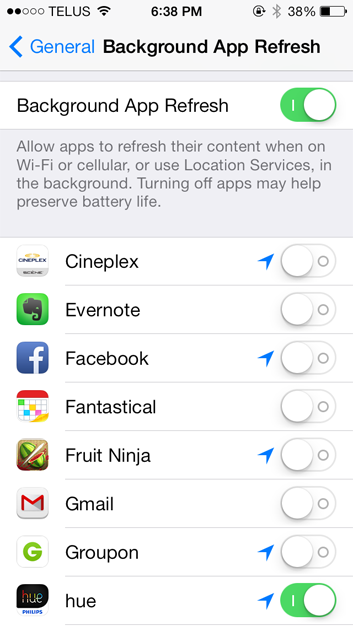 This list is not ranked in any order, and each setting will affect battery life differently. 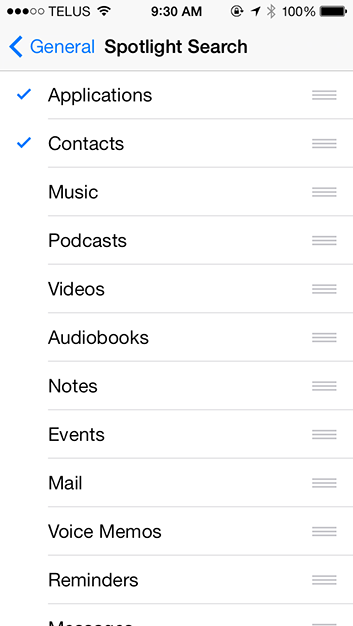 This feature was introduced with iOS 7 to allow apps such as: Weather, Facebook, Twitter, Evernote, and many more refresh their content in the background. This provides faster access to new updates right when you open the app, opposed to loading when it’s launched. I have this feature on, but only a couple important ones are selected. Most users aren’t aware this feature even exists, and in turn have all their apps enabled. If you have a larger quantity of apps installed this can lead to them all refreshing in the background and draining battery. Turn this feature off completely if you don’t care to have any app refresh on its own, or moderate the list to only apps you use frequently. As mentioned before I do have this feature enabled, and still get 16-18 hours of battery. 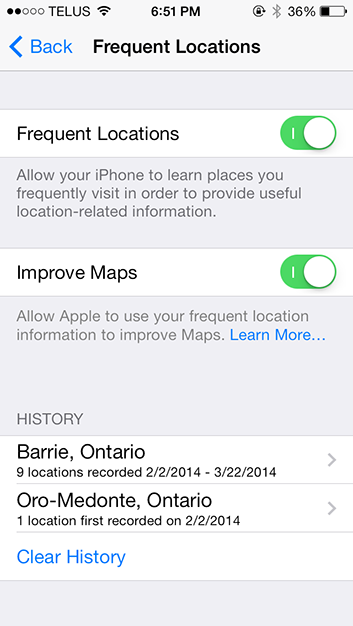 Also introduced in iOS 7, Frequent Locations will record the places you go and put them all on a map. It can show precisely to the exact minute how long you were at a specific location and how many times. I’ve had this feature on since receiving my iPhone 5s with iOS 7, as I originally felt rather impressed from how detailed it was. After using it for a while I noticed that it purges data older than 2 months, and so for the most part it became useless to me. I was interested in keeping a historical archive of all the places I’ve been over the months, but since it removes older data I stopped actively monitoring it. The feature is still on, but if you feel this is unnecessary for you then you can simply turn it off. 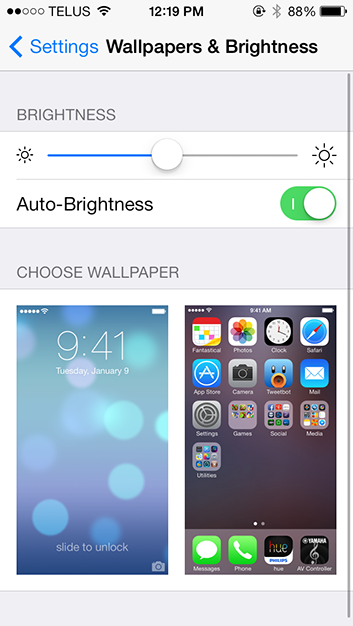 Screen brightness has always been a battery’s worst enemy. Having the brightness set to full can drain your battery by a large margin, while having very little can extend it significantly. The iPhone has an ambient light sensor near the earpiece that will automatically adjust recommended brightness levels for you each time you unlock your device. If you have this featured disabled with the backlight set at higher levels, not only can it give you eye strain in low lighted areas, but it will also take away valuable battery life. You can still manually adjust the brightness with this feature enabled through the Control Center by swiping up from the bottom of the screen. This section is probably going to be the opposite of what you were thinking. When multitasking was introduced in iOS 4, Apple had designed the system to work without its users needing to be consciously aware of the feature. In turn, they implemented a system where apps would be suspended in the memory in a low power state until they were resumed. It was the best way to provide great battery life while allowing apps to hold their place when you’re doing something else. 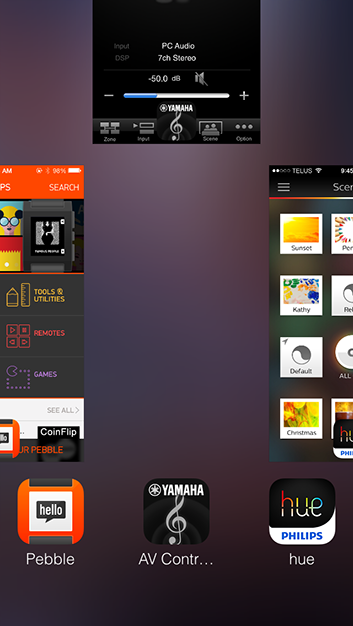 In iOS 7, closing apps by swiping up in the multitask bar will not save you battery. If you close the app, it will need to completely reopen itself the next time it’s launched. Think of it like shutting down your computer opposed to leaving it sleeping, or turning a car off instead of idling for a minute. The only reason closing apps exists is if you’re experiencing problems with the app, or using a legacy device (iPhone 4, iPad 2), and need to free up memory. I haven’t manually closed an app since iOS 5. It’s time to break the habit. Cellular networks have come a long way since the first iPhone, but the devices have progressed faster than the carriers with the latest generation – LTE. While it’s seen the fastest roll out compared to previous generations, there are still many areas where it hasn’t reached yet. 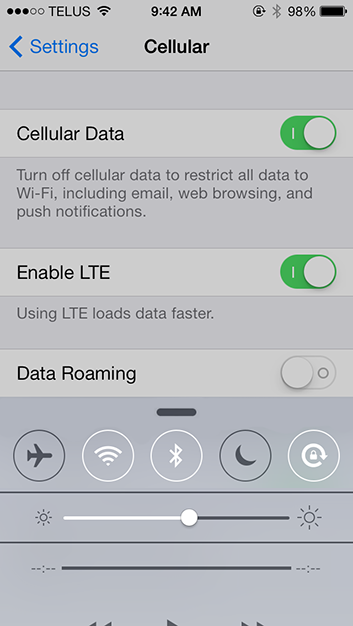 If you live outside town or spend most of your time outside an LTE compatible area, I would recommend turning it off. The other two radios inside the phone are Wi-Fi and Bluetooth. There have been toggles placed inside the Control Center, so they can easily be switched on and off if you know you won’t need to use them for extended periods of time. Keep in mind that even while not connected, they’re still searching for possible connections every 5-10 seconds. Spotlight was introduced in iOS 4. It allows users to quickly search their device for content instead of locating it manually. When I had iOS 4 on my iPhone 4, I saw a few tips online to manually adjust Spotlight Indexing to help performance and battery life. While this feature may have progressed with newer generations of software, I still customize the Indexing settings. By de-selecting options in this list, you will remove them from the Indexing process. If you use Spotlight (swipe down on the Home Screen), decide carefully what content you disable as it won’t appear in the search results. By having only a couple of options selected, the device will have an easier time completing the process. If you don’t use it at all then feel free to remove everything and the device won’t Index at all. With all of the real-time communication apps available, e-mail is slowly becoming a way of the past. For the most part, its primary use is in business or education. For those who don’t actively use e-mail on a daily basis, having push disabled can be a large factor in preserving battery. Push e-mail will consistently monitor your mail boxes for new messages, and alert you almost instantly when a message arrives. 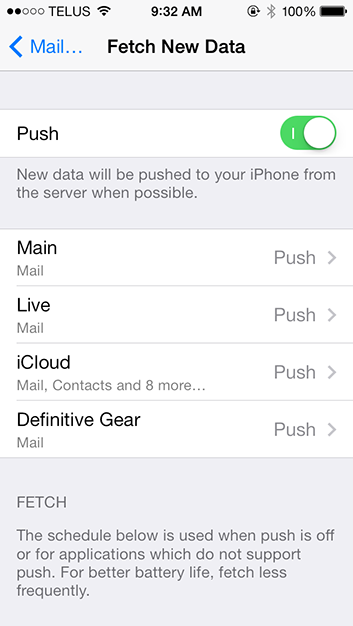 If you find that you don’t receive messages as often, you can disable push and set it to Fetch. This option will scan the accounts periodically, which can be set in 15, 30, or 60 minute intervals. System Services are mostly unknown to the average user. This menu trails into the dark area that many will never explore. I have half of this list disabled as they don’t assist in any functionality to me for where I live. Cell Network Search and Wi-Fi Networking are required for the operation of the device. Compass Calibration will assist while using the compass app but also other functions inside Maps, so I would leave it on. 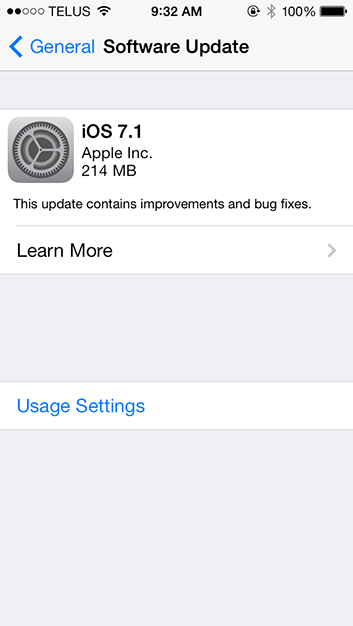 Diagnostics & Usage will send Apple reports for things like apps that have crashed and anonymous usage statistics. Location-Based iAds use your location for the ads that are displayed inside apps. The Popular Near Me options enables the section in the AppStore that will use your location to find apps that are popular near you. Setting Time Zone isn’t necessary unless you’re constantly travelling and don’t want to set the time manually. For those who don’t live in a major city, the Traffic option won’t be of any benefit. It uses the GPS to determine where condensed traffic levels are on the maps to assist in routes for commuting. Location Services are a touchy subject. While I feel that they are extremely necessary to the device, it must be carefully managed to gain the most benefit. Some users have mentioned that they think because an app is enabled that it’s constantly getting their location, which is incorrect. 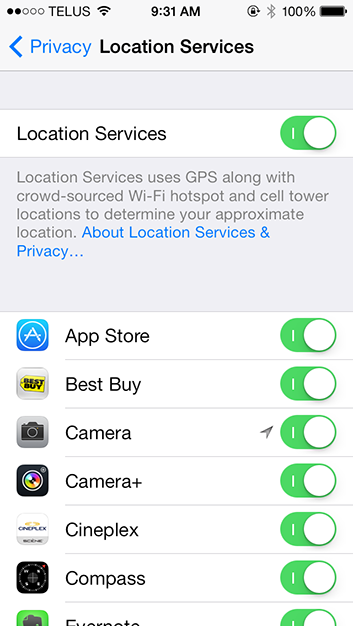 Most apps will only ping your location at a specific time, such as locating a retail store, taking a picture, posting a status, and so on. There are however some apps that aren’t developed properly and can cause trouble. One thing I would recommend is looking for the purple arrow. If you see an outline, then the app has used the location in the last 24 hours. If the arrow is solid in colour then it’s using your location at the current time. If you aren’t inside the app completing a process then I would investigate why, or simply disable it. There is no situation where the proper solution is to completely disable this feature altogether. I saved this one for last as it’s not confirmed, but still important to consider. Apple’s devices have the highest adoption rates among overall users. When iOS 7 was released, it had gained 40% of all devices in 24 hours, and has reached 80% as of January 2014. This impressive number allows developers to optimize their apps for the latest architecture as most of the downloads will be from that version. If you stay on older software and are running apps that are meant to be used on the current firmware, small incompatibilities could arise leading to performance issues – resulting in higher than normal battery drain. Smaller updates within the same generation can sometimes be just as important, since bugs can make their way into final versions and need to be patched. In most cases the updates take minutes, so it’s always beneficial to keep up to date. Take the time and gain the rewards. There are more options available that can assist in preserving battery life, but I feel that these are the best places to start. Some users will just completely ignore all these settings and use the device as it comes out of the box. Those who take the time to be a little more resourceful will gain the benefit of having longer lasting life for that one extra picture, or to make a phone call in case of an emergency. With an iPhone 5 or 5s, having carefully managed settings geared towards your usage should have no trouble providing 7-8 hours of usage and 15-16 hours of standby. Let me know if these tips have changed your battery life, and feel free to post other suggestions for users to try out.